Easy and convenient Point-of-Sale solutions that enable you do business anywhere, everywhere. D-Tech's next generation business automation solution gives you everything you need to streamline your business, automate your sales pipeline, improve sales operations, and close more deals on the go. Our cloud point of sale software is fast and easy to use, and works on just about any mobile and desktop device with a modern web browser. Track inventory and receivings, and take proper stock of your inventory so you're always up-to-date with products you have in stock. Create sales and issue receipts and professional invoices in minutes to simplify checkout process and reduce customer wait time. Record and track all business expenditure and know how much you're spending. Powerful tools to connect and engage stakeholders using either email or SMS. Unlimited users and user privilege management. Define roles, access restrictions and stay on top with activity logs. Maintain customer data, track sales/revenue generated for each customer, view customer activity, transactions, and receivables. 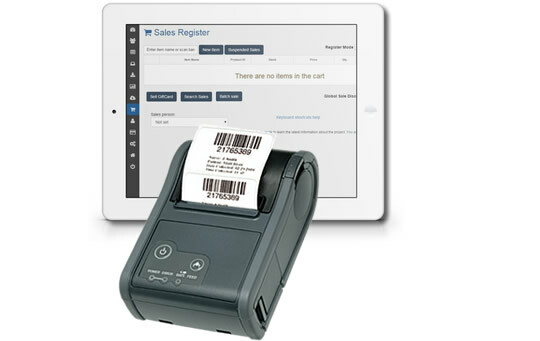 Our PoS Software offers support for everything you need at the checkout, including receipt printer and cash register. Generate insightful reports including: item / date specific sales, income statement, payments and expenditure in real time. Sell on the go with built-in support for mobile devices and wireless hardware needed by businesses on the move. Suitable for road sales, trade shows, or even additional sales outlets as needed. Secure networking technology allows you manage your store and track all sales at each sales outlet from a single location. Integrated mobile POS devices (receipt printers, card readers, etc) enable you close more sales on the go, and keep your customers happy (** Addon). We give you the freedom to accept any form of payment. Accept payments via cash and Mobile Money (all major credit or debit cards coming soon). Associate sales with any type of payment you want - cash, credit, gift card - whatever.